Cancer starts when healthy cells start multiplying more than their genetic code allows. Cancer can be benign or malignant. A cancerous tumour is dangerous, which means it can develop and spread to different parts of the body. A benign tumour implies that a tumour will develop but won't spread. 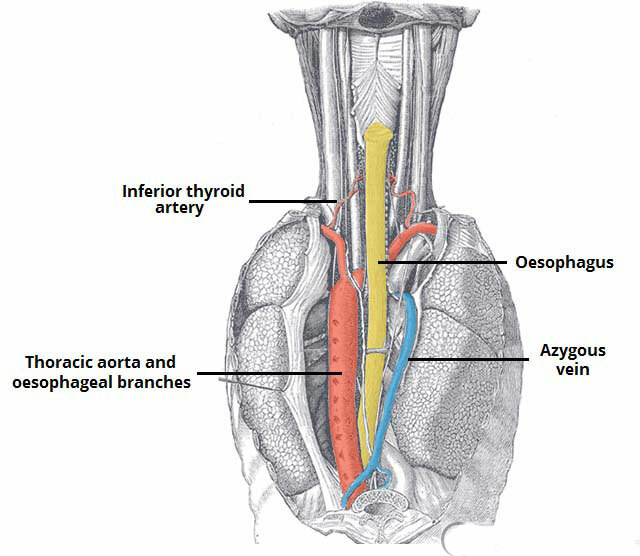 Oesophageal cancer, also called throat tumour, starts in the lining of the food pipe (oesophagus). In medical parlance, it is called oesophageal cancer. What are the Causes of Oesophageal Cancer? What are the Signs and Symptoms of Oesophagal Cancer? Biopsy A sample tissue from the body is removed and analysed under the microscope. This test will detect the presence of cancerous and non-cancerous cells. Imaging Tests X-ray, computed tomography scan (CT scan), magnetic resonance imaging (MRI) are used to locate the cancerous cells and examine their reach in the body. What are the Treatment Options for Oesophagal Cancer? Surgery The first method is surgery which is performed either as a single procedure, or in combination with other treatments. The surgical approach is used to remove a small tumour. It is easier to remove the tumour, when it is restricted to the inner layer of the food pipe. Oesophagectomy A small portion of oesophagus, which contains cancer cells, will be removed with the surgical procedure. This method is performed by pulling up the stomach to the throat, and operating on it. Chemotherapy It is a method in which high doses of drugs are used to stop the growth of cancer cells. Chemotherapy may have its side effects, but it is counted as one of the most effective treatment for cancer till date. Radiation Therapy Radiation therapy is yet another method which uses highly concentrated energy rays to target the cancerous part. This procedure is often combined with chemotherapy to use in the the advanced stage of cancer. Sudden and severe bleeding from the oesophagus. Discomfort in speaking and swallowing food. Take medications and therapies on time. If you feel excessive pain or any reaction, contact the doctor immediately. Don’t miss follow-up appointments as they are important to keep a check on your progress. Avoid smoking as much as you can. Lower down the consumption of alcohol.